Set yourself up for success with LoanMart MoneyTalk articles focused on credit. If you are deciding on a title loan, it may be because you have a poor credit score and you need a loan for a sudden financial crisis. Maybe you have great credit but still need a quick and easy way to get money now. Whatever the reason may be, it’s important to know how a title loan and credit works. Overall, you may not know what a credit score entails or how its broken up. It’s not something we learn, and it’s not really anything we think about asking. In order to understand how a title loan might be able to help your credit, you have to look at how a credit score works. Your payment history equals 35% of your credit score. This means the 35% of your credit score is impacted by how often you miss a payment and if you’ve defaulted on loans before. Try not to miss a paymen, ever, even if you pay the bare minimum. Another 30% of your credit score is how much you owe on your loans or credit cards. 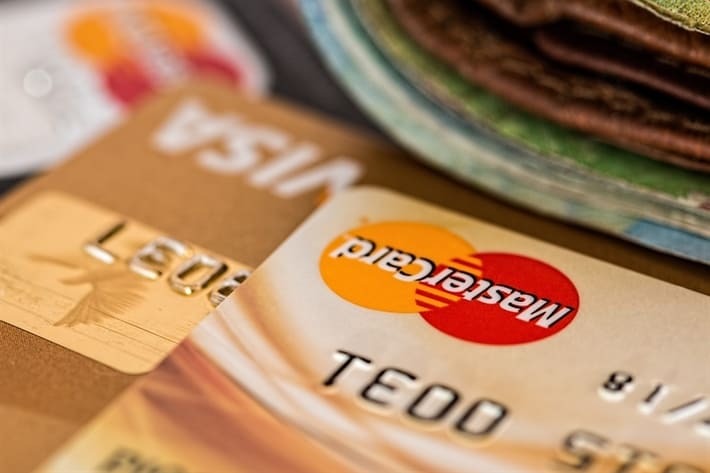 If you have credit cards that are near max or are maxed out, that can reflect negatively on your credit score because banks see it as a negative aspect with money responsibility. Your credit score is also 15% of the length of time. This reflects how long you have been borrowing on credit. If you have racked up a lot of credit in a short amount of time, this could negatively impact your credit score. Think about how many loans or cards you have recently applied for. Running a credit check will impact your credit score the more you try to get approved for a loan. Did you know your credit could be affected by the types of loans you have? If you have a healthy mix of credit cards, home loans, car loans, and other types of finances, it could be better for your credit than having 5 credit cards and no car loan. How your debt is split will affect your credit by 10%. Like any other loan or credit card you may take out in your life, when you don’t make payments or if you default on a loan, your credit score may drop down. This will make your credit report look less impressive to other lenders. That is why it’s important to stay on top of your payments and do not default on your title loan. As long as you budget and plan to make your payment, you might not have to worry about a title loan with LoanMart negatively impacting your credit history. Using the funds from a title loan can allow you to pay down your finances. As you pay down your loans and other bills, your credit score may begin to improve. Good Credit for a Title Loan? As mentioned previously, you don’t need to have the perfect credit score to apply for a title loan with LoanMart. Since we use the value of your vehicle and your ability to pay the loan as your approval base, we don’t need to rely on your credit score. We just take into consideration your credit status. Many customers want to improve their credit score but don’t have the opportunity to since creditors reject them on any other loan or credit card. LoanMart wants to give those people an opportunity by giving them a chance to provide a better future for their families. You might be wondering what the requirements are for a title loan if you don’t need a good credit score. It’s rather simple and easy to qualify for a title loan. All you need is a clear-and-free title on a vehicle and an ability to pay the loan payment every month. This can be proof of a job or other monetary income you may receive from sources that aren’t jobs. If you’re ready to apply for a title loan with LoanMart, we offer you three different ways to apply. The first is the ability to apply online with your phone, tablet, or computer. You just have to fill out our quick application with the basic information regarding yourself and your vehicle. Another way to apply is simply over the phone on our toll-free number where a representative can guide you. You can be pre-approved in a few minutes and approved for a title loan in less than a few hours1!